The Posca Pen is a water-based marker which produces opaque, vibrant colour and writes on paper, plastic, glass and fabric. Widely recognised within the artistic community as being perfect for creating unique designs and extensively utilised within the automotive industry. 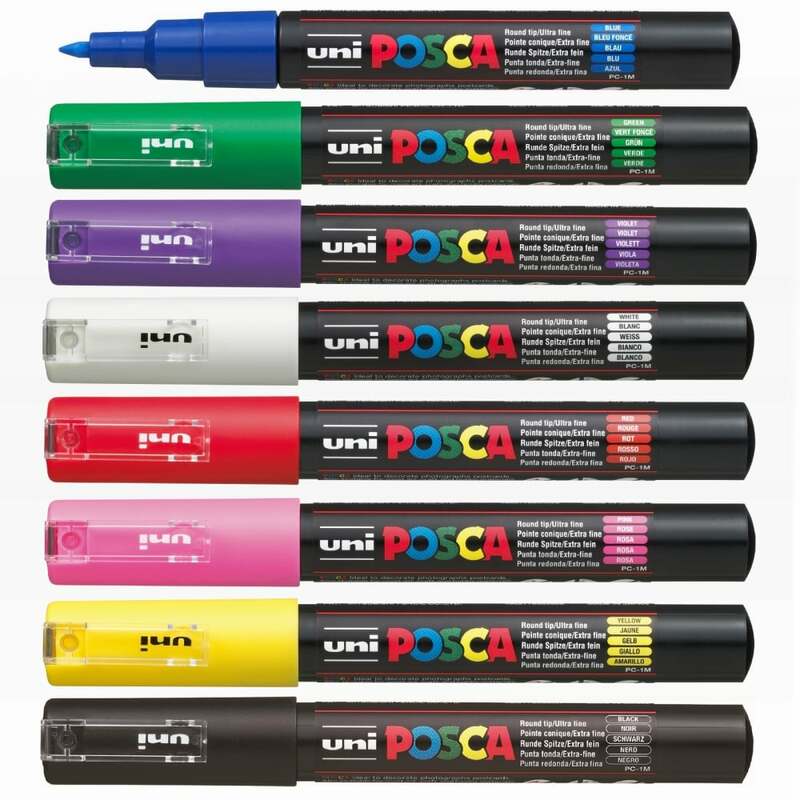 Posca can be used by professionals, beginners and children in countless areas. Posca is water based paint, water resistant, odour free, fade resistant and will not bleed through on paper. This pack contains 8 PC-1M Posca pens in a clear plastic wallet: Pink, Black, Red, Yellow, Blue, White, Green and Violet. How to leaflet included in the pack. We bought these for stone painting and they are great fun for 5 year olds plus I'd say. Paint is permanent so hard to get off fingers but not impossible ! So good activity to do with a grown up or older kids.